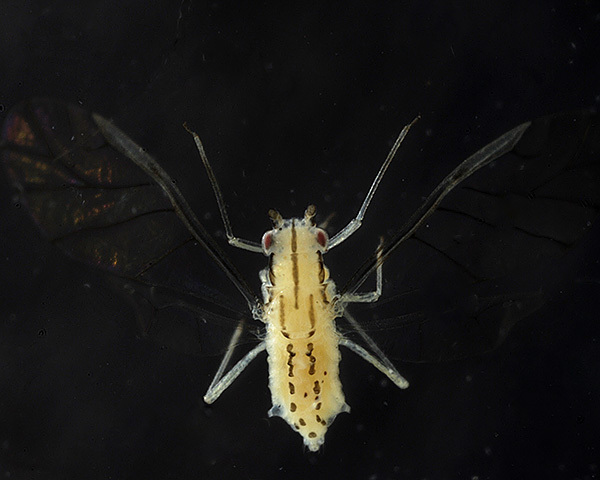 Adult viviparae of Takecallis arundinariae are all winged. Alates are whitish, pale yellow or greyish-yellow and may be lightly coated with bluish-white wax especially on the head and antennae (see first picture below). The third antennal segment is dusky to dark except at the very base, and has the most proximal secondary rhinarium situated close to its base. The thorax has variably developed longitudinal dark stripes, and the abdomen has a pair of figure-8 shaped black spots on each tergite (see micrographs below). Takecallis arundinariae siphunculi are short and pale and the cauda is pale or dusky. The body length is 1.7-2.4 mm. Immature Takecallis arundinariae (see second picture above) are yellowish and have no dark markings except on the antennae and tarsi. The micrographs below show dorsal views of the Takecallis arundinariae alate. Yan et al. (2006) looked at the morphological variation of eight aphid species in three families feeding on bamboo leaves, based on morphometric data of 34 morphological characters. The results indicated that some characters, such as body, siphunculi and antennae, were very different among the three families, but some others, such as the ultimate rostral segments, tarsal segments, tarsal segments and claws, were similar. These characters are related to aphid feeding behavior and adhesion on the surfaces of plants. Their results suggest that convergent adaptation occurred in these characters of the aphid species feeding on the leaf surfaces of bamboos. 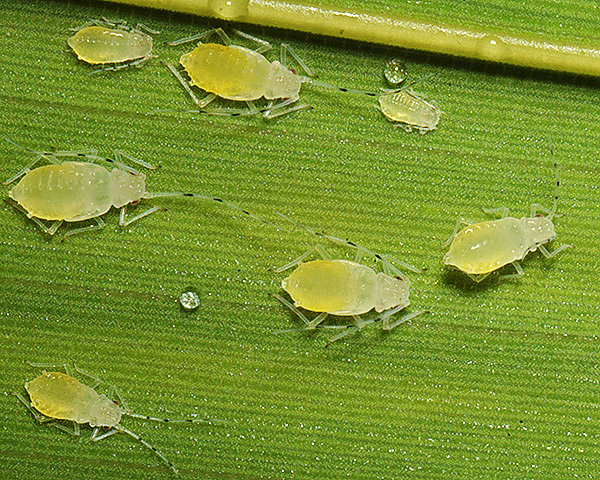 The picture below shows a rather curious effect of these aphids feeding on a senescent bamboo leaf. The group of aphids creates a feeding 'sink' which increases the flow of nutrients to the infected part of the leaf. Perhaps the aphids are also injecting a cytokinin analogue (or an abscisin agonist) which keeps that part of the, otherwise senescent, leaf green. Lazzari et al. (1999) first reported the occurrence of Takecallis arundinariae in Brazil. They monitored numbers using yellow pan traps. Numbers were highest at the cooler times of year. Numbers of alatae peaked at the end of July, mid-winter in Brazil, when the average temperature was about 15°C, and again in November/December when the average temperature was about 20°C. Limonta et al. 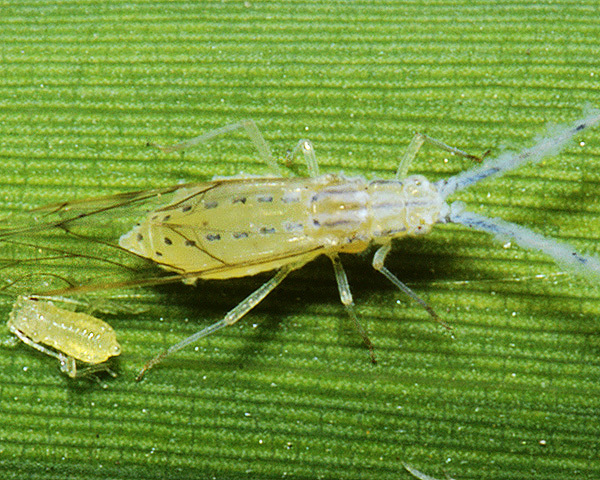 (2002) carried out field observations on Takecallis arundinariae and Takecallis taiwanus, the two most widespread aphids living on Phyllostachys bambusoides in bamboo nurseries in Lombardy, Italy. The aim was to investigate the different stages and mean fecundity of both species. The reproductive period lasted for 57.5 days and fecundity was 151.4 young per female. Seasonal abundance was studied for three years (1998-2000). Takecallis arundinariae developed from February to the end of May and Takecallis taiwanus from the beginning of May to the first days of August. Coffelt & Schultz (2006) investigated the anholocyclic life cycle of the aphid Takecallis arundinariae on golden stem bamboo, (Phyllostachys aurea) in Virginia, USA over two years. More aphids were found in the southern and eastern quadrants of the bamboo grove than in the northern and western quadrants. This may have allowed the population to be exposed to more sunlight and less wind during the winter and early spring periods. Aphid populations peaked from March-May, declined from June-October, and peaked again in December. Aphid population dynamics were strongly influenced by climatic condition. 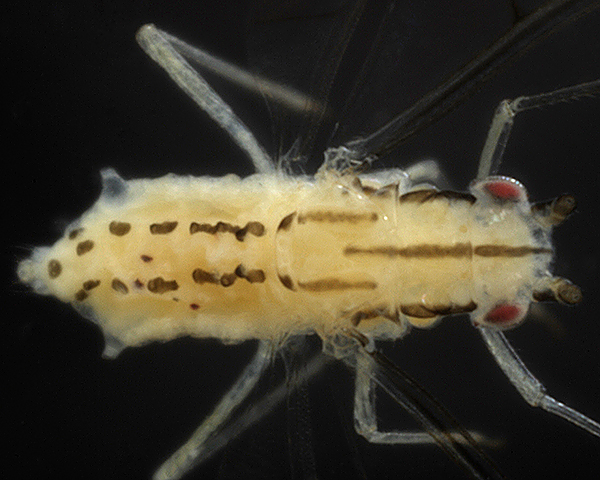 Alate viviparae had a mean fecundity of 147 nymphs and a longevity of 46.5 days. Predators were few and no parasites were found. 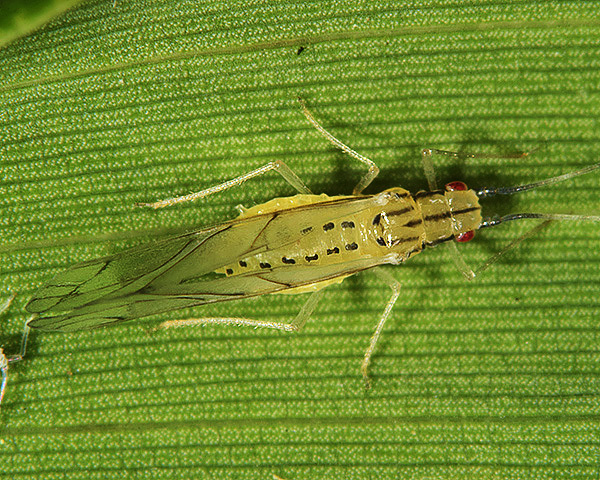 An alternate host study revealed no aphids on yellow sticky traps placed on nine woody plant species. Zhou et al. (2006) carried out bioassays and scanning electron microscopy of the entomophthoran fungus Conidiobolus obscurus for bamboo aphids as well as its effects on the fecundity of bamboo aphids to estimate bamboo aphid biocontrol potential. 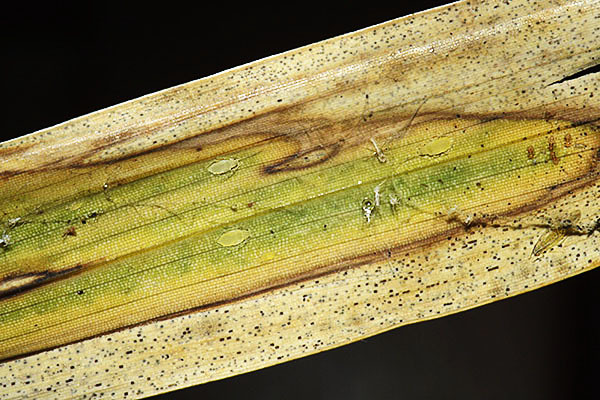 Conidiobolus obscurus can effectively infect four species of bamboo aphids, and most cadavers appeared in the first 2 days after inoculation. The final mortalities reached 74-91 % at high concentrations of conidia among the tested species. The lowest LC 50 was estimated to be 57 conidia per mm2 for Takecallis taiwanus on day 5 after conidial shower. Moreover, the Conidiobolus obscurus-infected aphids only produced 3.9-18.2 % progeny of the corresponding healthy aphids. 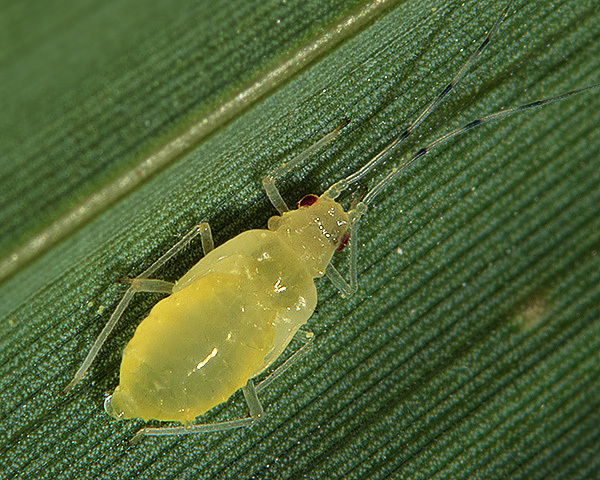 It was concluded that Conidiobolus obscurus is able to restrain the development of bamboo aphid populations, and is suitable for further application in aphid biocontrol in bamboo forests. Of approximately 50 aphid species that feed on bamboo worldwide, Blackman & Eastop (1984) list 12 'widely distributed species'.